I went straight to eBay just like the guy in the video suggested, and boom – there it was! My future legendary Pentax K1000 SRL 35mm Film Camera. And guess what – not only was I going to get the camera, I was also going to get a camera bag, two extra lenses, and many other wonderful accessories. I mean, how could I pass up this opportunity? The Pentax K1000 has been called the “the longest running SLR in history”! So I checked the box that said “Watch This Item” on my eBay account. After all, the bidding did not end for 3 days and several hours. One hour until the auction was over, I got an alert on my phone. Who knew I had set that up once upon a time? But I’m glad I did… I crawled onto my bed with my phone and my eBay app open and ready. There were 10 bidders for this particular camera, and I figured they had all been alerted that the auction was coming to an end, so I waited to put in my bid until there were only 5 minutes left. I bid about $2 over the current bid. I was the highest bidder! Hooray. As the clock counted down to 1 minute, I panicked and increased my highest bid by about $7! I was worried that one of the 10 bidders might be waiting until the very last second to outbid me. 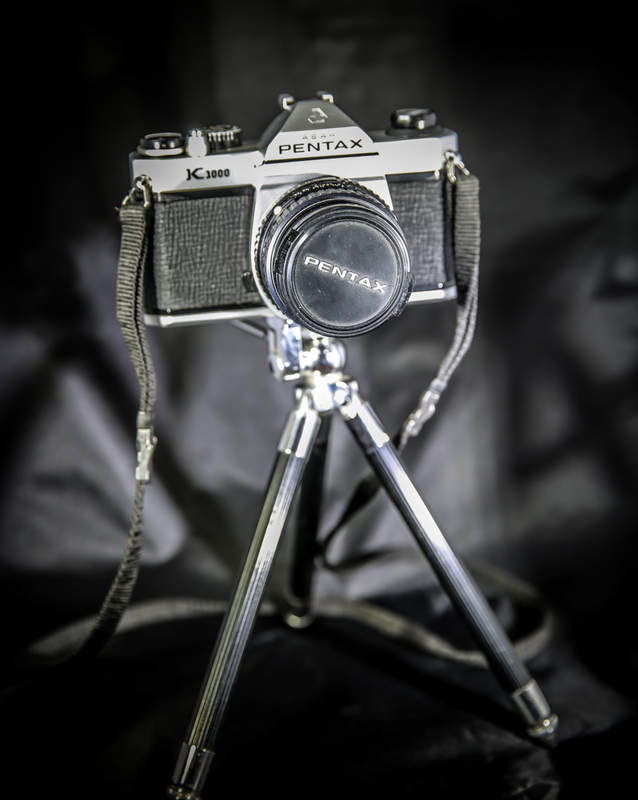 And here she is… My “new” Pentax set up on the little tripod that came with my bag of treasures! She’s got a few scratches, but I’m sure she’ll still take wonderful pictures. I was so nervous – I really wanted this Pentax K1000 – I had already become attached to it before it was even mine. The clock was counting down so slowly I thought I was going to scream. Five – 4 – 3 – 2 – 1… My heart stopped for a brief second, and then I got the alert that I had won the item! I couldn’t believe it!!! And an even better surprise was that I was bidding what I thought was $51.00. It turns out that was Canadian money. In U.S. dollars I had won the camera for $39.70 + shipping! Amazing, right? So for about $80, I now was the proud owner of a legendary Pentax K1000 + 2 lenses (80-200 mm and 135 mm) + accessories including a Royal Auto Tele-Converter (not sure what that is), Fuji Color Super Film, a mini tripod, and a bag that holds the camera and these accessories! Look at this haul! This is the pictures the eBay seller posted! Doesn’t it look awesome?? I was a winner! But then I re-read the listing more carefully this time, and it said (in fine print), that most of these items had not been tested! Oh boy… In my excitement, I over-looked some important information because I was determined to be the proud owner of this legendary film camera. Oh well…I guess it can make a cool paperweight if it doesn’t work, right? So I finally got the email that said my item had been shipped. I checked the mail every single day anxiously waiting for my package. It arrived after about 10 days – it was just what the seller said it would be – many photography treasures, all packed up nicely in a beat-up old camera bag. So…I’ve played around with the Pentax for a few days now – I haven’t shot with it yet, because I’m still trying to figure everything out. And with film, it costs money to take pictures. I can’t quickly preview the picture and delete the ones I don’t like. I have to pay for the bad pictures too when shooting with film. I’ve read many articles on this fun, little 35mm camera, and the reviews are right – – there are no bells or whistles on this camera. It is clean and simple. There are no extra features, and it is considered a great camera for beginners who want to buy a 35mm camera. The Pentax K1000 was first released about 30 years ago. It has a full metal body and feels very sturdy and durable. One thing I love about it, is the sound it makes when you press the shutter button. There is a light meter guide (you need a battery for this), and you set the exposure by changing the shutter speed and the aperture. When the needle is centered, you are ready to take your picture. Very cool fixed 135mm lens with f/2.5. It also has a built in hood that slides back out of the way when not needed. It has a built in hood (very cool), and is said to be resistant to back and side light. Most reviewers considered it a good portrait lens and pretty good for shooting nature or when you need a shallow depth of field. I’ll let you know what I think once I shoot with it! My first experience with a bayonet lens. 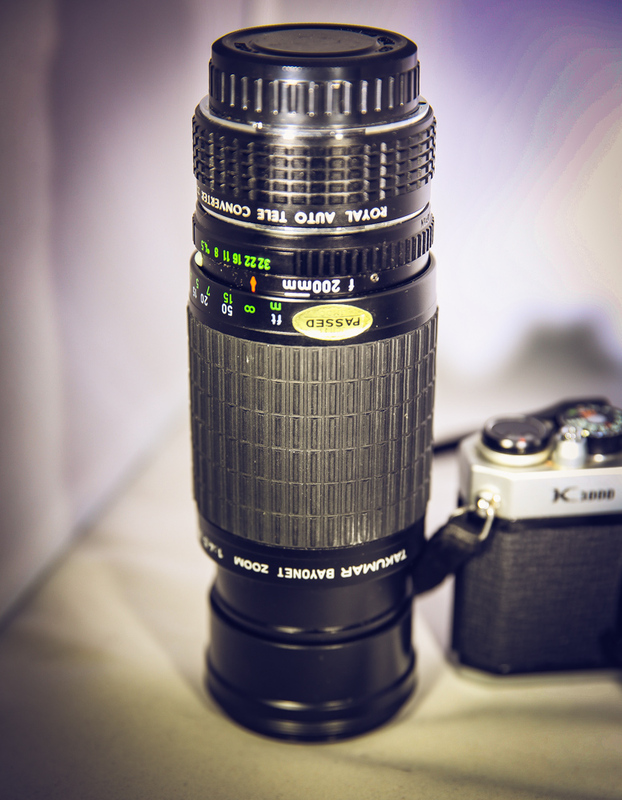 This one is an 80-200mm zoom lens with f/4.5. Very different from any other lens I’ve used. The other lens that I won in my eBay auction is a Takumar Bayonet 80-200mm Zoom Lens. I had never used a bayonet lens before. It was interesting… This lens also easily attached to my Pentax. 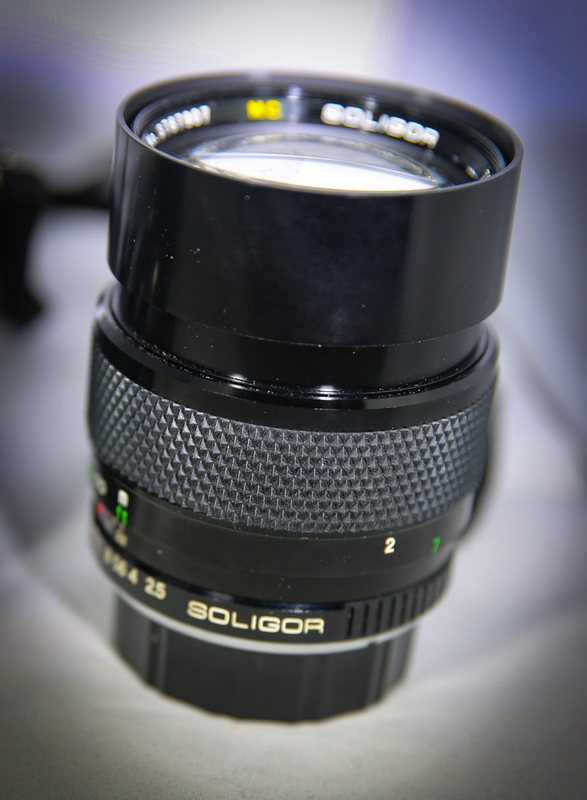 It looked like it was in better condition than the Soligar lens, but I could not find much information on this lens at all. There were, however, many other Takumar lenses listed that people were using with Pentax cameras. At the time, the Japanese industry was dedicated to producing the absolute best quality in the world. The lenses were designed with professional quality and performance in mind. Their performance is extraordinary – especially with black and white film. The thread mount (sometimes referred to as the Pentax screw mount) was used among many manufacturers and could be used with other camera mounts with simple adapters. If you’re interested in reading more about the Pentax K1000, and see the video that hooked me, you can click the links I’ve provided. The Pentax K1000 camera is really cool, and the video is on Shutterbug’s Website. Be prepared though – once you watch this video, I imagine I will be seeing you over on eBay where you’ll be searching for your very own Pentax K1000. 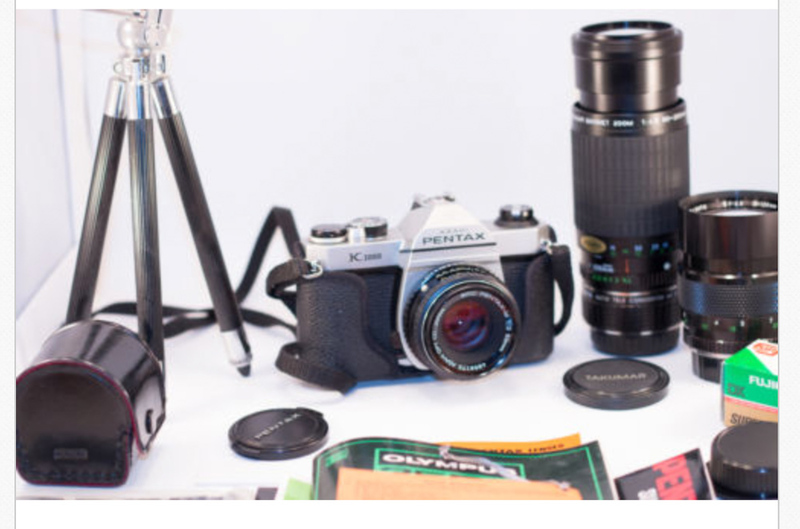 If you’re interested in getting yourself a vintage camera, but you aren’t sure what you want, you can read this article called 4 Tips For Purchasing a Vintage Film Camera. It’s a nice article that just reminds you about a few things you should keep in mind when you start looking for your first vintage film camera. A very fun read…and like the video, it will make you want a film camera! Maybe even a Pentax like me!! P.S. If you’re like me, and you run right out an bid on a Pentax K1000, you will want to see this video from Prime Studios Technical Photography. It was a great little refresher for me. PreviousBottle Buddies? What in the World is a Bottle Buddy? NextWhich Tripod Do I Need? The Manfrotto Tripod!! Lens Flare! What? Can I Get Rid of It? Giant Bubbles and Water Balloons…All You Need for Summer Fun!